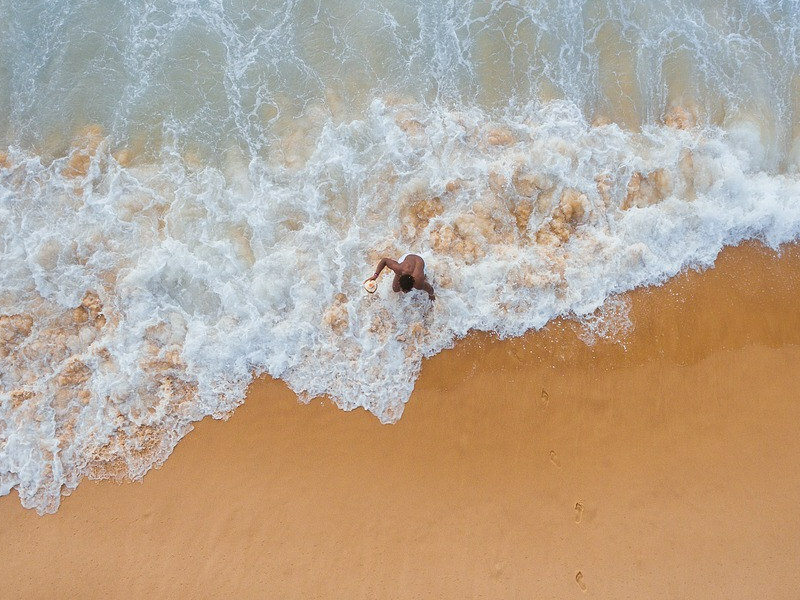 There’s absolutely no reason not to enjoy your craft beer at the brewery it was made with this list of top places to enjoy a proudly South African brew, or even somewhere nearby with a great selection of lagers, ales and stouts made right here at home! A top favourite for residents of Jo’burg and Pretoria, this craft brewery is popular for its exceptional outdoor area and tasty menu. Other than the delicious brews on tap at Black Horse Brewery, punters can enjoy a few extra treats such as the Gingerberry alcoholic ginger beer. Make sure to book your spot over weekends though, as seats disappear fast! 32 Seekoeihoek, Bekker Schools Road, Magaliesburg. Call 082 453 5295. 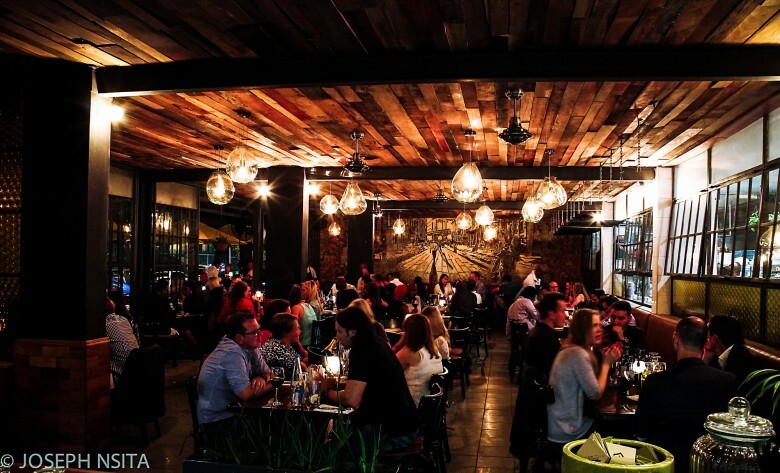 Removed from Joburg’s busy Parkhurst strip, The Foundry in Parktown North has established itself as a firm favourite to quench your thirst with all its beer alternatives. Some imported craft beers make an appearance too here, while if you’re not all into beer at your table, then it’s easy enough to try a glass from the fantastic wine selection. Tables are usually available in the bar, but you’ll need to book if you plan on heading into the restaurant section for a bit after. 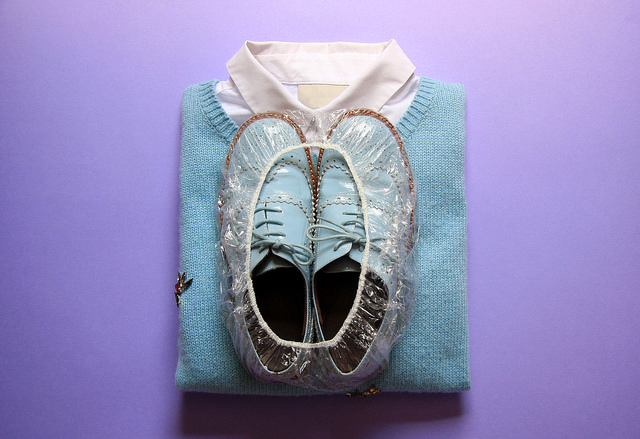 Shop 7, Parktown Quarter, 3rd Ave, Johannesburg. Call 011 447 5828. Blos Café offers Pretoria locals more than just its four Zeppelin craft brews. 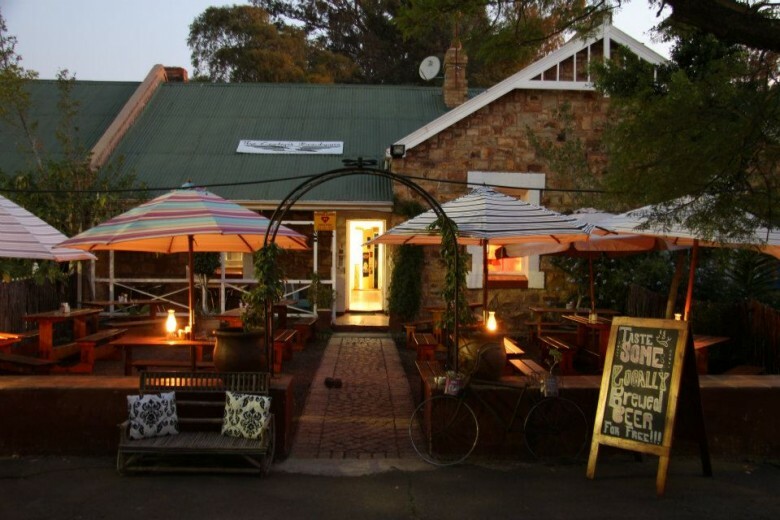 This eatery is housed in a beautiful farmhouse-type setting with a long porch that is popular as a sundowners spot. Platters off the Blos menu are sure to accompany the perfect afternoon dining al fresco while enjoying the Zeppelin ales and stout. Plot 66, C/O Olympus Rd and Leander St, Faerie Glen, Pretoria. Call 012 991 1790. 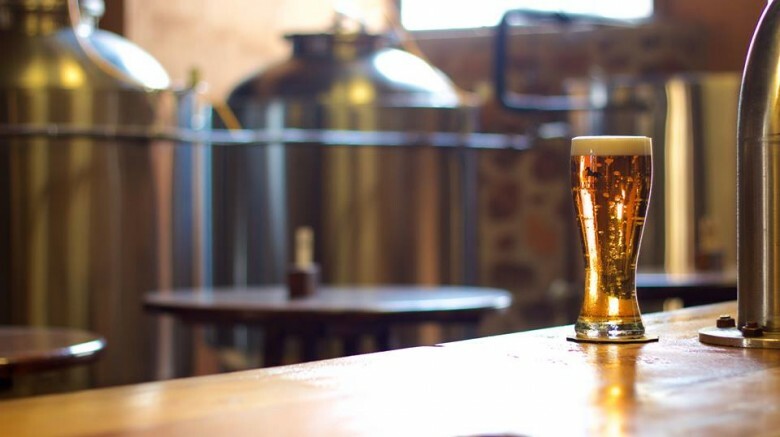 If you’re up for a drive, then heading out to Vanderbijlpark’s first micro-brewery is a great stop along the way. De Garve’s tasting room is adjacent to the brewery and you’re likely to be met with a smile from owner Patrick to take you through his beers. Once you’re done tasting, and ordering your beers to take along, a tour through the brewery is included with the experience! Visits by arrangement, call Patrick at 083 3040197 or Goedele at 082 4288657. 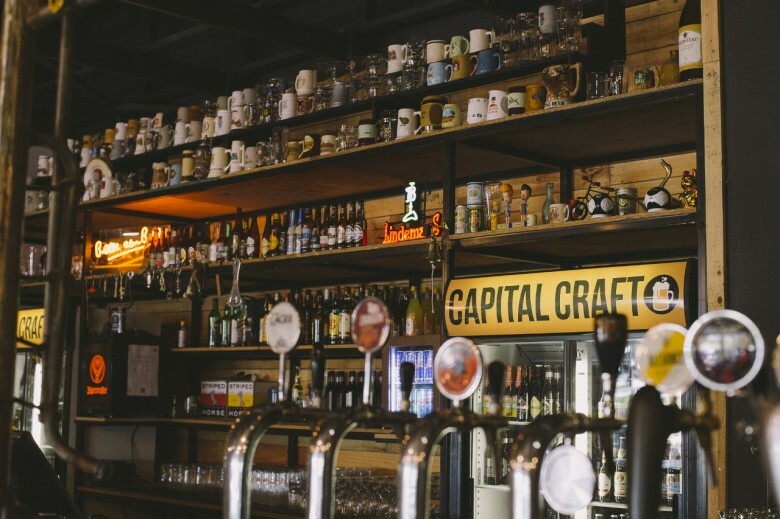 Possibly Pretoria’s most hipster spot, Capital Craft’s busy bar is sure to have something to please each beer drinker’s specific needs. With dozens of beers available, and specialties on tap too, this is a good spot to do some exploring into which beer is your favourite before heading directly to that brewery. Oh, and they now have gin tastings too! Greenlyn Village Centre, shop no. 20 Cnr Thomas Edison & 12th Street East, Pretoria, call 012 424 8601. 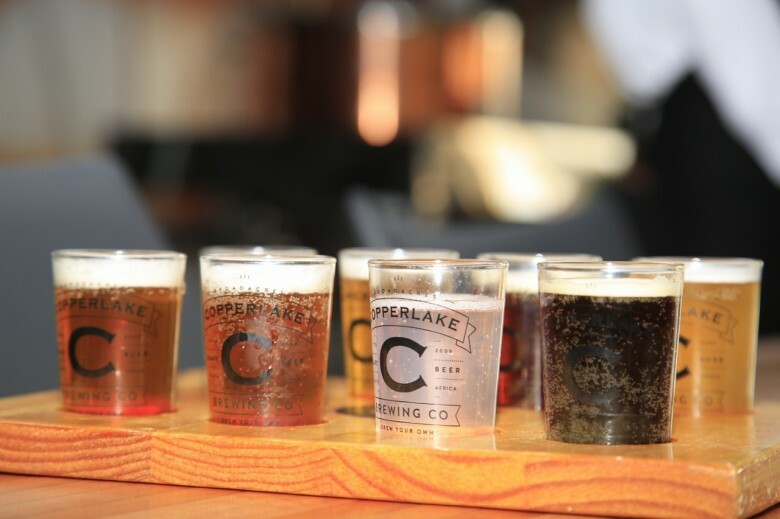 Offering tasty pub grub, Copperlake’s Brewpub is setting itself up as a popular eatery for those that enjoy its many beers, and those that enjoy their citrus coolers too. This ‘brewpub’ is more than just a restaurant, featuring a minibrewery for guests to see. Beers from guests brewers can also be found on tap here. Fourways, Broadacres Shopping Centre. Corner Valley and Cedar Road, Fourways, Johannesburg. Call 011 036 6028. Gilroy’s is absolutely one of South Africa’s original craft breweries with Gilroy himself still telling jokes and downing his own ale during Sunday lunch. 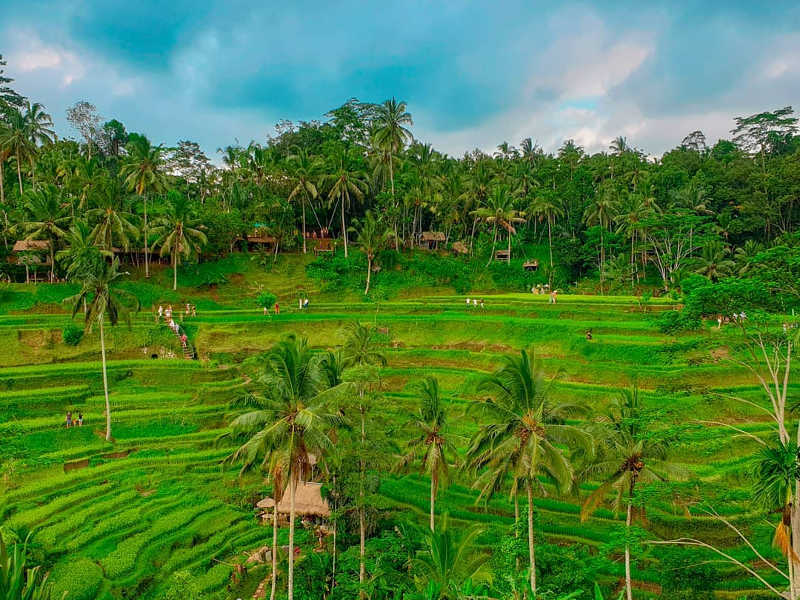 Big wooden tables are squeezed in wherever they’ll fit and the restaurant and bar pack out most weekends with regulars, tourists and new initiates alike. Weekends bring live performances and lunch specials. Beyers Naude & R114, Muldersdrift, Krugersdorp. Call 011 796 3020. 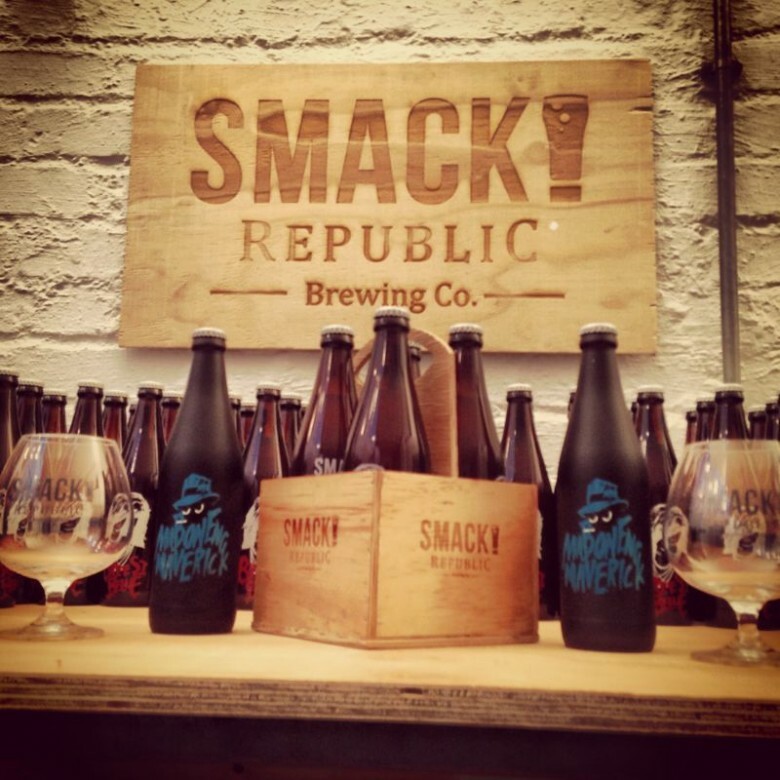 This artisanal brewery is smack-bang in the city situated at the Arts on Main complex in Maboneng, making it popular with marketgoers on a Sunday. Visitors to Smack! can get a better look at how their beers are made and taste along the way and then round it off with something tasty from Market on Main. The brewery also arrange food and beer pairing evenings on occasion. 13, Arts on Main Building, 266 Fox St, Johannesburg. Call 084 491 0779. 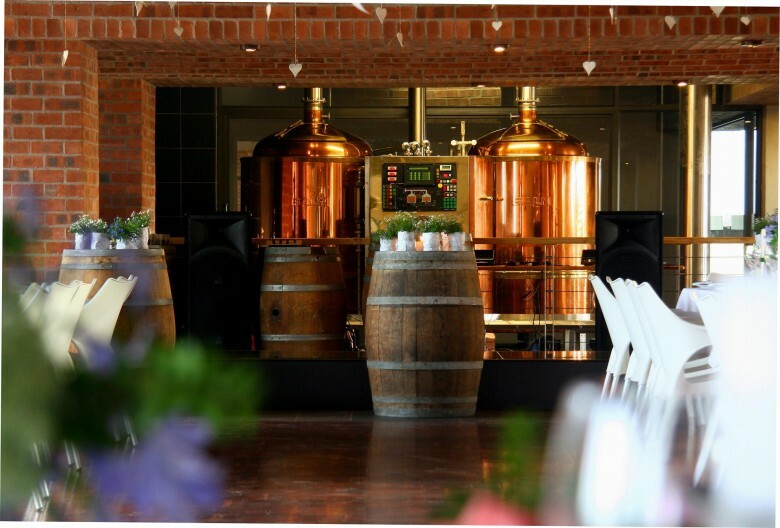 A craft brewery with a difference, Ubuntu Kraal Brewery is right in the heart of the kasi serving up its popular beers and delicious township food to guests. Soweto Gold has become an iconic symbol of Soweto and between the beer tasting, tours of the brewery and tasty fare, there’s no wonder Jo’burgers are rushing to get there! 11846 Senokoanyana St, Soweto. Call 079 890 8321. The diamond of the beer industry in Cullinan, Cockpit Brewhouse is an aviation-themed brewery offering tastings and a full menu. Beers here are typically ales and are named after a famous aircraft. Enjoy a spitfire, mustang or black widow while listening to the brewmaster explain the personality of each ale. If you’re a fan of beer in your food too, then try the beef and stout pie. 80 Oak Ave, Cullinan. Call 012 734 0656. In Broederstroom and overlooking the Magaliesberg Mountains, this Irish pub has a small selection of beers on tap, and an excellent selection of wood-fired pizzas. These beers are brewed with pride using only the most natural of ingredients and are never bottled. Ale House is also one of the only microbreweries that uses mountain spring water to create its distinct beers. Bart Pretorius Rd, Broederstroom, Hartbeespoort. Call 082 464 9387. Right on the busy Parkhurst strip in Johannesburg, this restaurant come pub fast established itself as a neighbourhood go-to for locals. 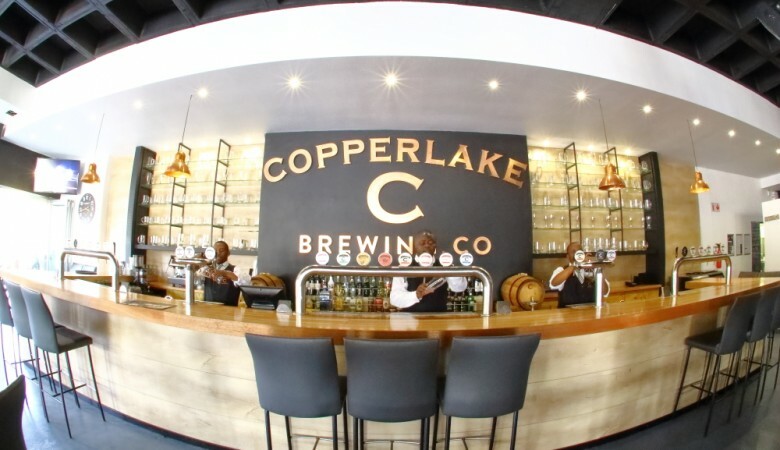 While Taphouse don’t brew their own beers, this is a great spot to get a selection of craft beers on tap and sit back to people watch the comings and goings of the Parkhurst strip. 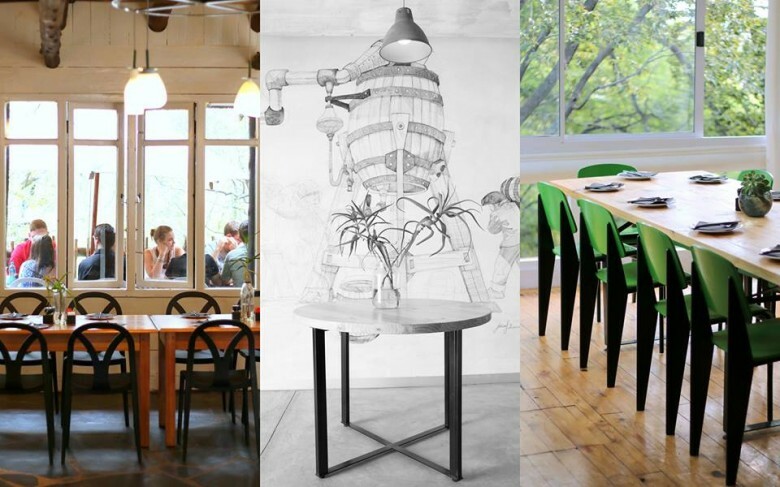 The Taphous aims to be small, simple and special – and yes, it’s all those things. Parkhurst, Gauteng. Call 031 572 3674. 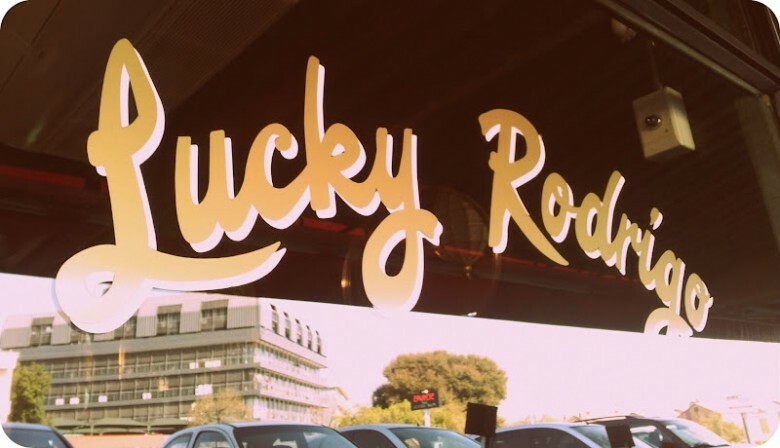 What better way to enjoy one of Pretoria’s best burgers than to match it with one of the craft beers on tap or available by the bottle at Lucky Rodrigo? 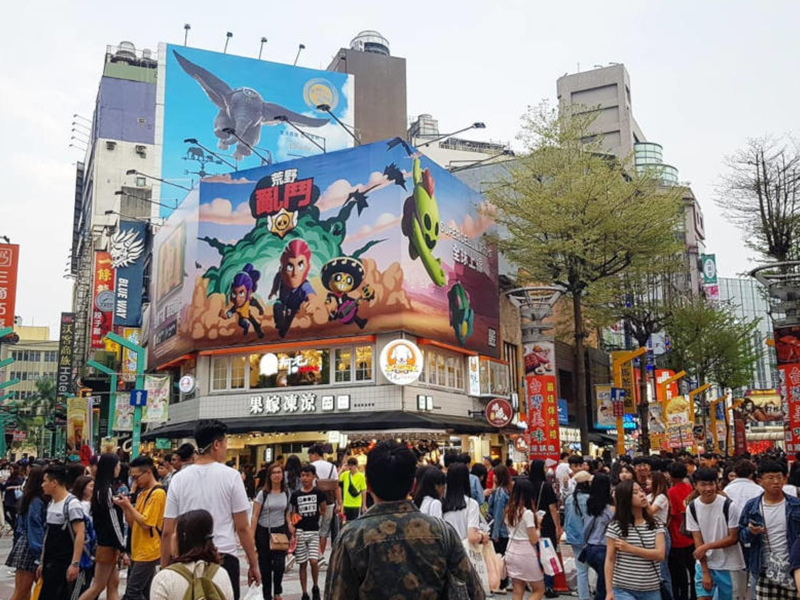 This eatery offers a great, relaxed atmosphere, a menu worth salivating over and a good selection of craft to go along with it all. Other than Capital Craft, this has to be one of my favourite spots in Pretoria for beer, burgers and a big night out. The Hillside Street and Alpine Way, Pretoria. Call 0728534468. 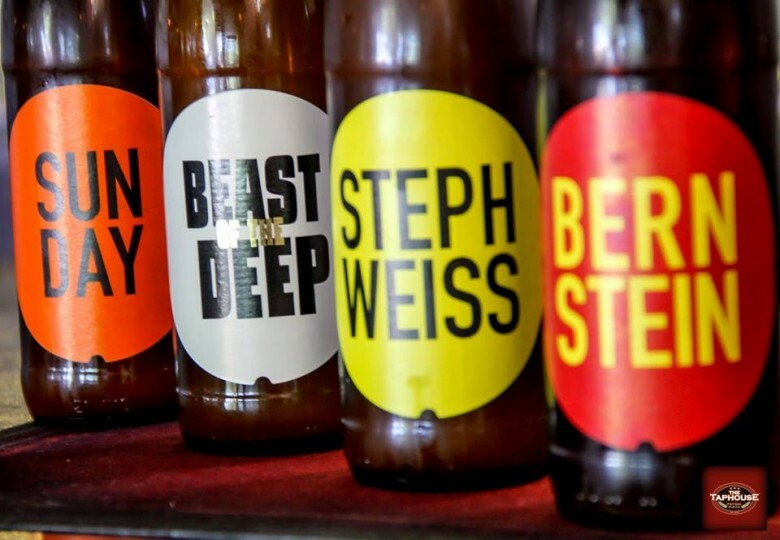 The sister Beerhouse to that in Cape Town, Beerhouse Fourways has brought its 99 beers to Gauteng and settled nicely amongst other popular nightspots in Fourways. The monthly Meet the Brewes event that takes place here is a great way to learn more about your craft beers and taste some new ones, the menu is also laid out well with pairing suggestions on the ready. Ok, so this one is a little bit of a cheat since Brauhaus on Dam falls just outside of Gauteng in the North West province, but we couldn’t help ourselves! The German flair of this unique microbrewery is worth seeing for yourself, naturally while enjoying a beer and overlooking the Olifantsnek Dam below. All of the Bavarian-style beers at Brauhaus am Damm are available on tap and pair pretty well with the German-influenced meals on the menu here. Take a seat near the copper kettles or outside in the beer garden, whatever suits your mood. R24 between Rustenburg and JHB, Rustenburg. Call 014 004 0382. Don’t forget to come check out Hazeldean Brewing Company at the cowhouse market in Pretoria East near silver lakes! I would like to take this time to say what a fabulous experience we had at Brauhaus am Damm, the place was empty, but we didn’t feel it with the warm welcome we got. The lady at Reception also apologised that we couldn’t have a proper tour due to the person being away at an event, but we were most welcome to look around. The waiter – which we name Rusta, was extremely friendly and helpful. We felt like were family there, we definitely going back and will book in advance for a proper tour. 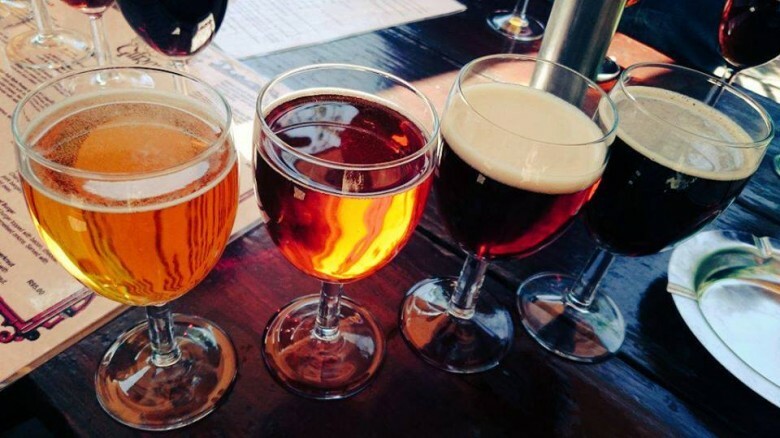 Visit aletrail.co.za to discover other craft beer outlets and breweries in South Africa. We run a little place on Riversands Farm Village in Fourways stocking four breweries. Truly craft beer with a view. Say hi next time around. And another thing: Stout is a type of Ale. Last visit to Black Horse was pathetic! Overall service was very slow. It took them more than an hour and a half to serve our food and we had to send back half of it. The beer was bland and not the standard that it used to be. Their manager was mostly missing and when he was found he would argue with us about the food quality. The restaurant was about 70% full, so it was not that busy. Jaco, I fully agree with you. I waited for an hour for my lunch and eventually left without eating. I’ll avoid it in future. Thanks for the inside tip. Will be sure to pay a visit when next in Gauteng. Thanks for this fab article – visited the Cockpit Brewhouse in December – awesome food, tasty beer and incredible live music. Well worth the visit to Cullinan.